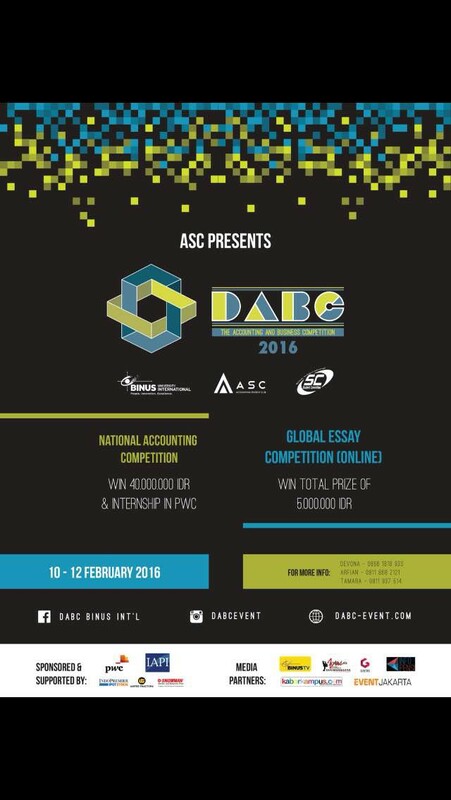 Binus International University and Accounting Student Club of Binus present the prestigious accounting competition, “The Accounting and Business Competition” (D’ABC) 2016. This is an annual event and will be held for the 12th consecutive time next year. It is supported by PwC Indonesia and IAPI. Join now and get the early bird benefits!